On Thursday 26th June at 10a.m. we met up at a location which was new to us. 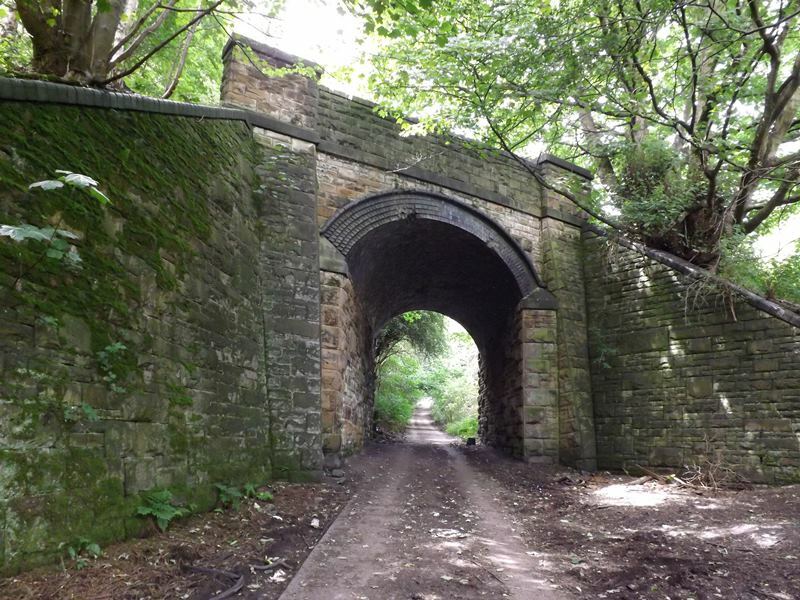 Rick Horvath who works as Support Officer at Kirklees Building Services in Dewsbury contacted me when he noticed there was no information about episode "The Innocents" in the locations section on our website. He'd recognised certain areas from the episode at the site where he works and he said he could send me a few photos if I was interested. Was I interested? I nearly bit his hand off! He then spoke to his work colleagues about the filming of Follyfoot and they were intrigued. They had no idea it had been filmed there. As I was going to Yorkshire on holiday I asked him if there was any chance I could visit the site. He thought it might be possible. Then I decided to bite the bullet and ask if others from the forum could go too and we could extend the get-together to include Thursday. Anyway to cut a long story short Rick asked his bosses and they gave permission for us to have a look around the site. 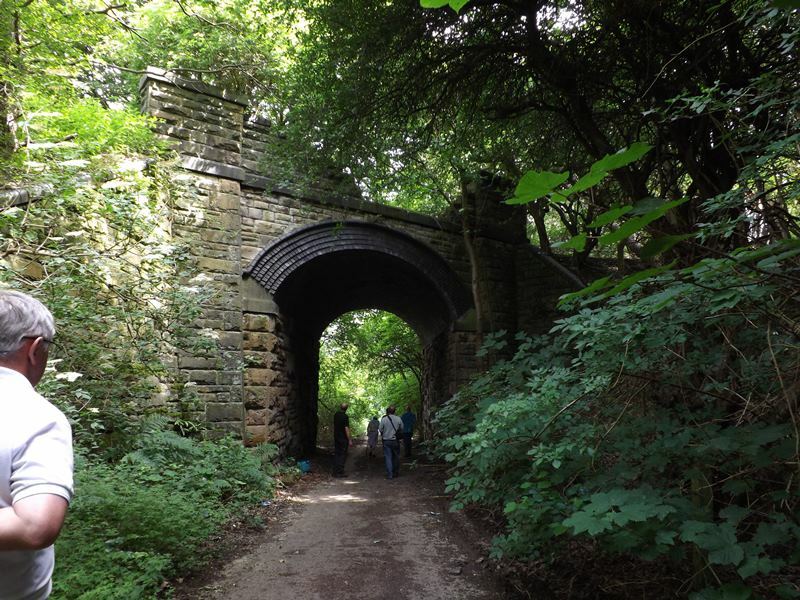 We had the added bonus that Rick asked Edwin Hepworth, a former electrician at Combs pit, Thornhill Colliery, to join us and share his memories. He worked at the pit from the 1950s to its closure in 1972. 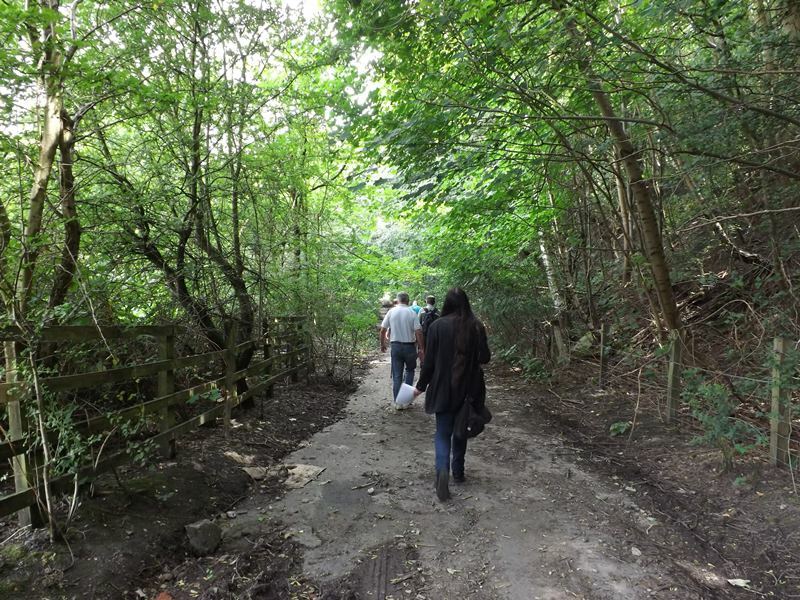 He readily agreed as he hadn't set foot in the place since the mine had shut down. We enjoyed talking to him and hearing his stories of the mine and the local area. 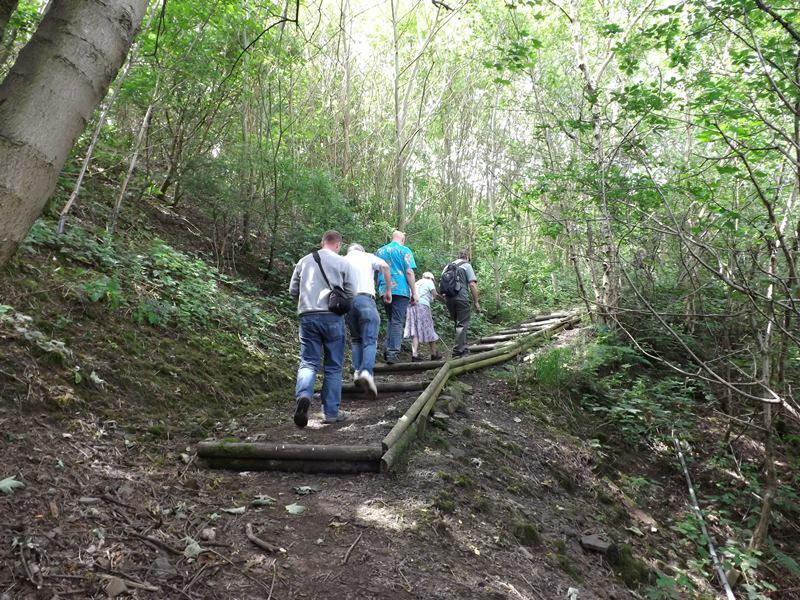 We donned lovely Hi Viz waistcoats and set off to the entrance of the old mine. The building we are standing next to in the photo below used to be an office but Rick told us "the girls refused to use it after they heard miners in pit clogs walking about, so they moved to another building with no further trouble." 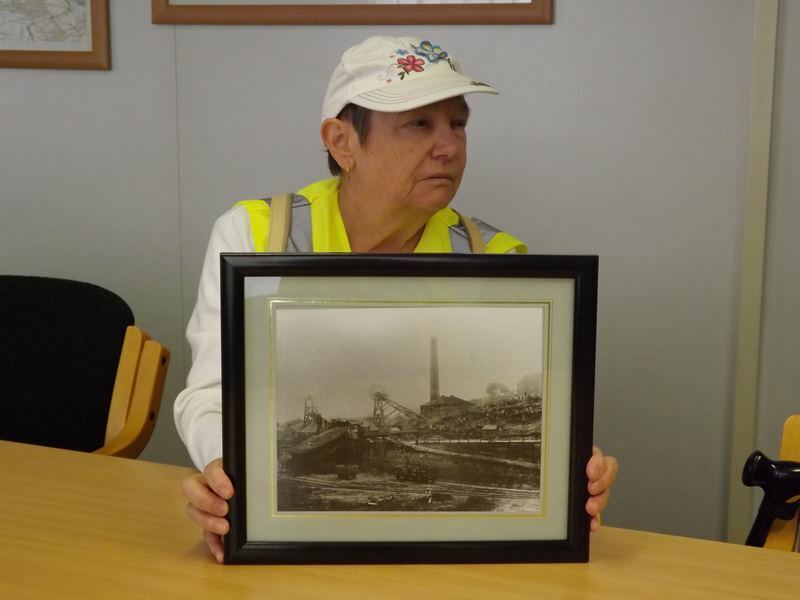 We were kindly offered drinks in the board room which were gratefully received and we looked at photographs of the old mine which were hanging on the wall. 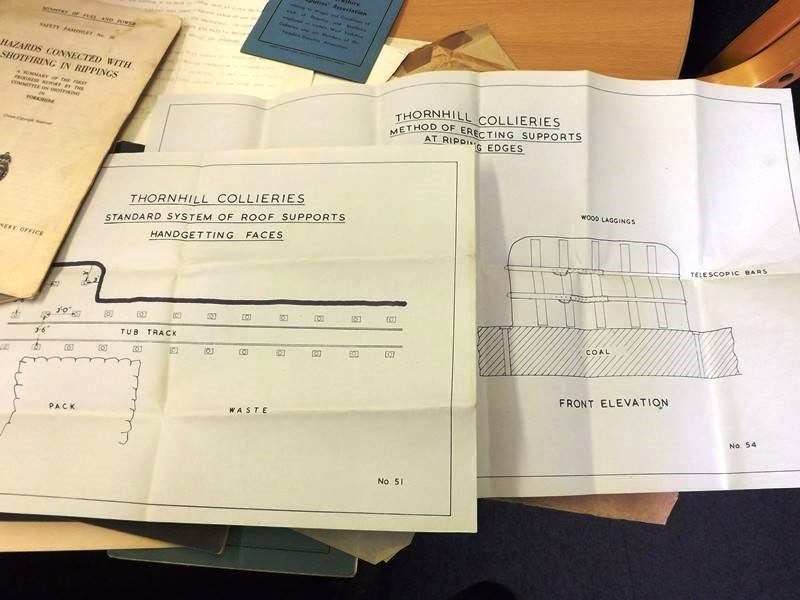 Rick showed us engineering drawings and papers of Thornhill Colliery which belonged to his grandfather Edgar Wilby who worked at the pit for over 25 years. Rick told us "His shift suffered during the mining tragedy of 1947. He was away on holiday with my grandmother and mum in Scarborough at the time." 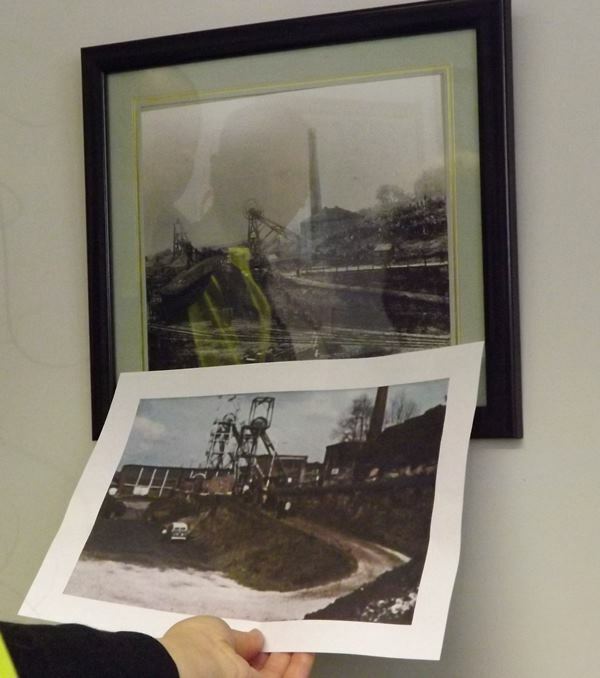 Edwin brought along a copy of Thornhill Parish Church magazine dated 1964 with a special feature on Thornhill Colliery. Included in the article is a photo of Edwin standing alongside other electricians. The tour ended at the Alma pub just in time for lunch. Rick said "the Alma Inn was a 'Spit 'n Sawdust' pub at the turn of last century when my great grandfather Frank Wilby would put a 'tanner' (sixpence in old money or two and a half pence in today's brass) on the bar and that would buy his Ale for the week after a hard day's graft at the coalface." I’d like to thank Rick Horvath for contacting me and making our tour an enjoyable and interesting one. 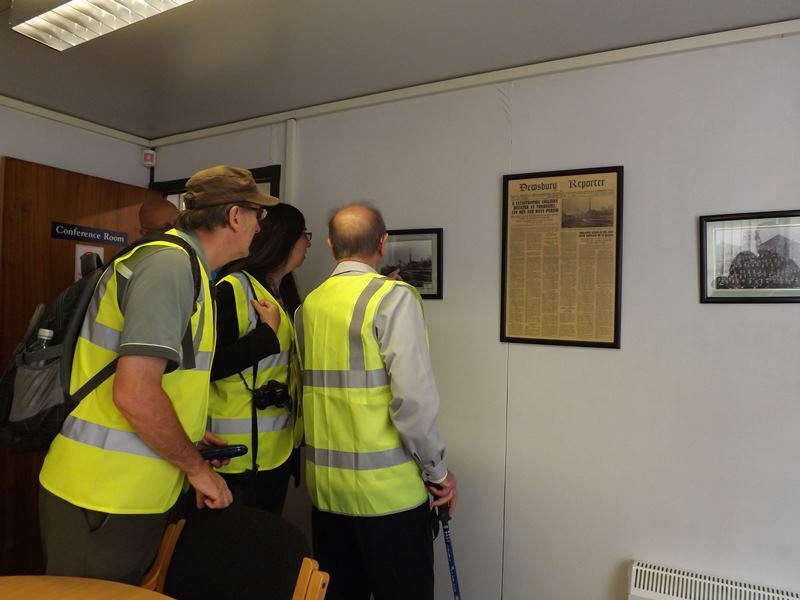 Also thanks to Andrew Bates of Kirkless building services who gave permission for the visit and a huge thanks to Edwin Hepworth for joining us and sharing his memories. We had perfect weather and it was a very enjoyable two days spent with folly friends. Roll on the next meet up! 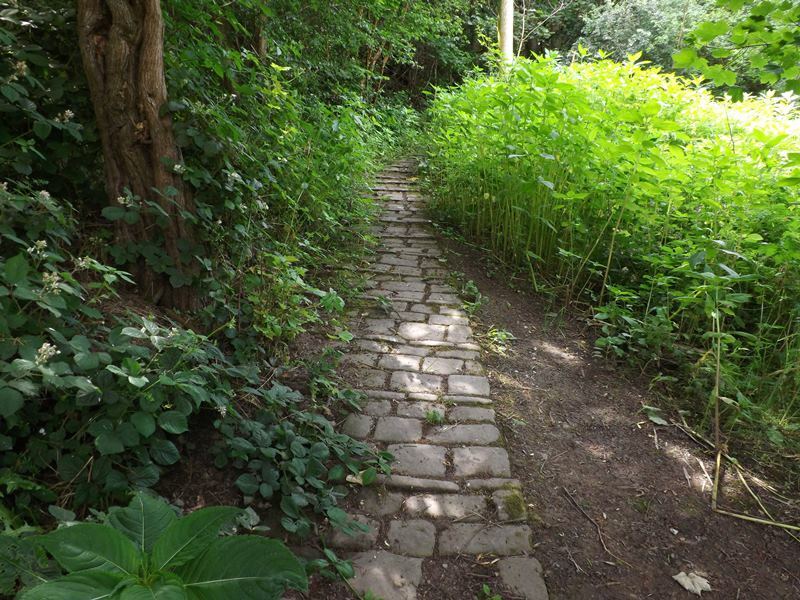 Photos and article by Jane. 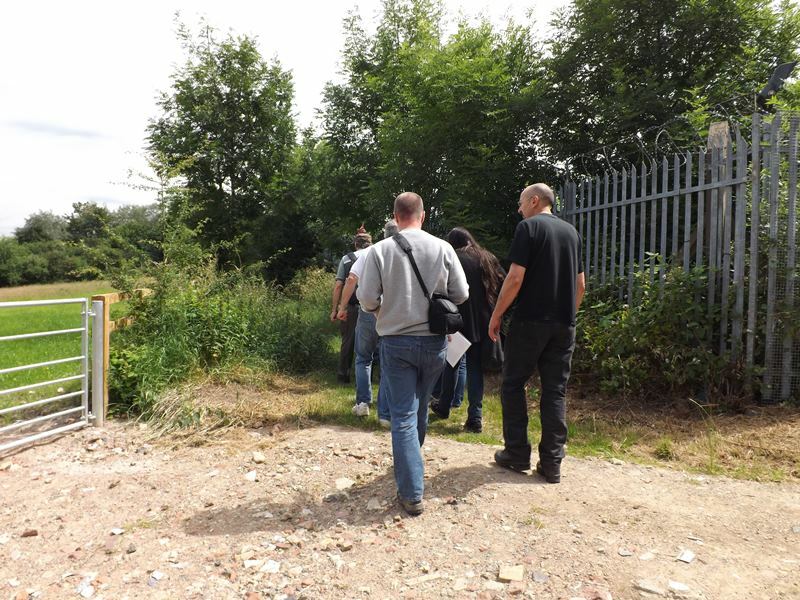 UPDATE 2015: I'm so glad we had the opportunity to visit Thornhill Colliery as the site has now closed and the buildings have been demolished to make way for a housing estate.